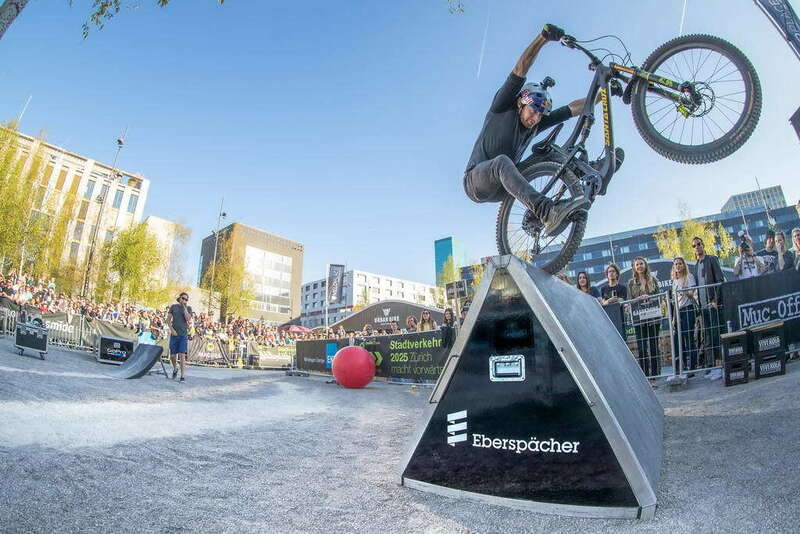 Esslingen, 8 August 2017 – The Scottish biking professional and Eberspaecher brand ambassador Danny MacAskill will visit the Caravan Salon in Duesseldorf on 26 and 27 August as part of his Drop and Roll Tour. He will be available for photos and autographs at heating and climate specialist Eberspaecher's stand A 11 in hall 13, from 3 pm on both days. In addition, together with his team, he will be performing exciting bike stunts in the outdoor arena. From bicycle mechanic to bike professional: This is the success story of the new Eberspaecher brand ambassador Danny MacAskill. The well-known YouTuber is always looking for new challenges, whether on the road or in the outdoors – his camper van is always there. Danny MacAskill has his first assignment as brand ambassador at the Caravan Salon as part of his Drop and Roll Tour. "I am looking forward to the new task, because Eberspaecher and I both strive for innovation and pinpoint performance," explains the 31-year-old Scot. At the Eberspaecher booth, visitors will also be able to find out about innovative products for recreational vehicles: from the latest pre-heater models to controlling systems using Smartwatch.